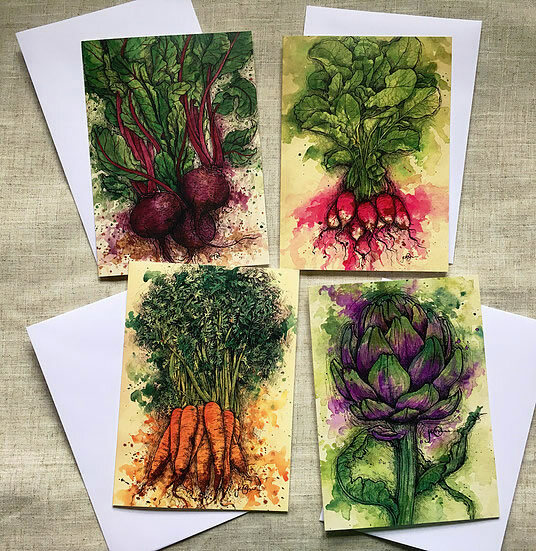 Pack of four vegetable greetings cards featuring a pen, ink and watercolour illustrations of radishes, beetroot, carrots and artichoke. The inside is left blank for your own message. 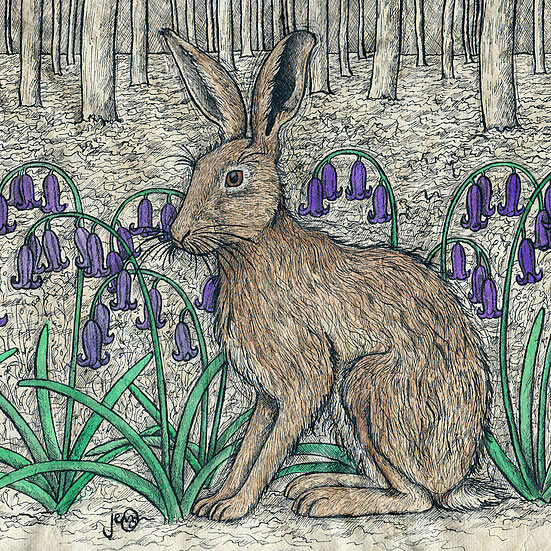 Envelope included.